Both drinks were well balanced and went down dangerously easy. 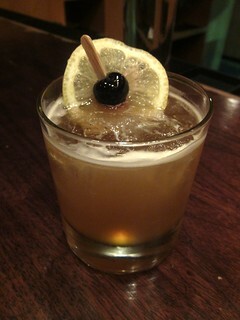 After a while, we started having Jonny play around with off-menu drinks, both classics and his own creations. 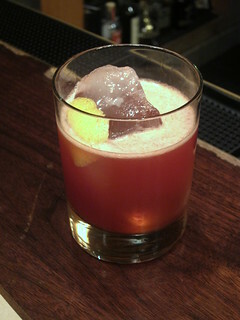 The Van Cleef was a drink he made when he opened Little Bird in Portland. 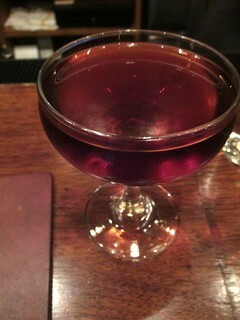 He calls it a "cowboy drink", made with scotch rinse, Buffalo Trace bourbon, and burnt orange oil. I told him I love green chartreuse so he made a Bijou (Bluecoat dry gin, orange bitters, sweet vermouth, green chartreuse). Another drink combined Brugal 1888 with lavender syrup, basil and fresh lime. To go with your drinks, try one of AMMO's pizzas. 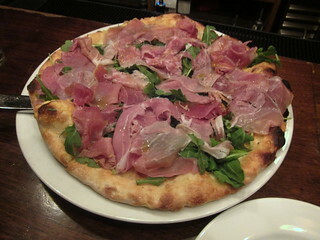 Ours came with a very generous helping of prosciutto and a light thin crust. 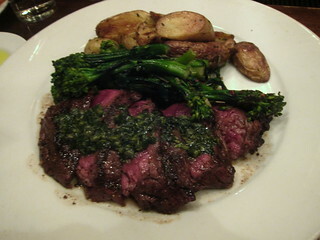 The skirt steak was tender, slightly spicy and cooked to a proper medium rare. 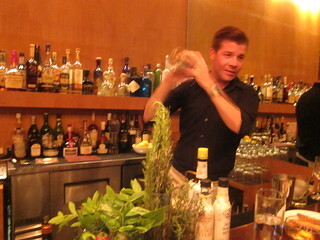 We loved all of the drinks (and we had plenty of them) and it was a lot of fun sitting at the bar and having Jonny create drinks off the menu for us. Lucky for you, AMMO is a small restaurant and unlike "bars", the restaurant bar is never that crowded, so you can go sit at the bar and get to know him (and his drinks) yourself!